You know what I don't talk about enough on this blog? Jewels. Glorious jewels. Beautiful jewels. Statement - mother effing - jewels. I love them. I want to wear them every day. With every thing. Well, that last part isn't true. 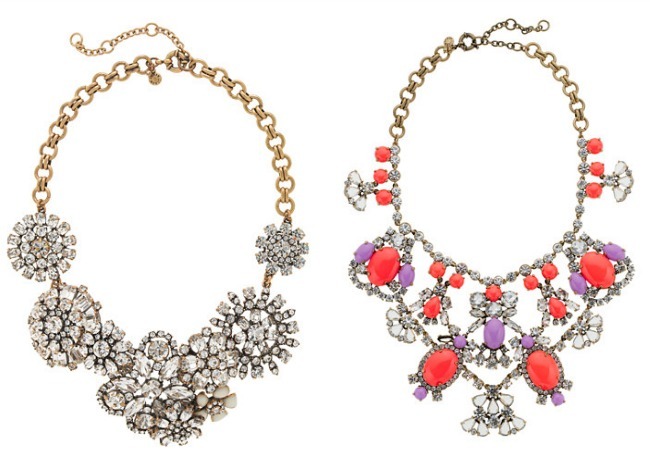 I want wear gigantic, glamorous, vintage-inspired necklaces with the simplest, coziest most relaxed tops. Preferably crew necks. Are you seeing it? Picture a slouchy heather grey crew neck tee tucked into a high-waisted skirt or paired with your favorite jeans and ballet flats. I'm honestly salivating just imagining it. Tell me and then tell your Valentine (wink, wink). love that silver lattice necklace, ive had my eye on it for months, but its just too expensive! Ahhhhhh!!! The fan fringe! They're all effing gorgeous! 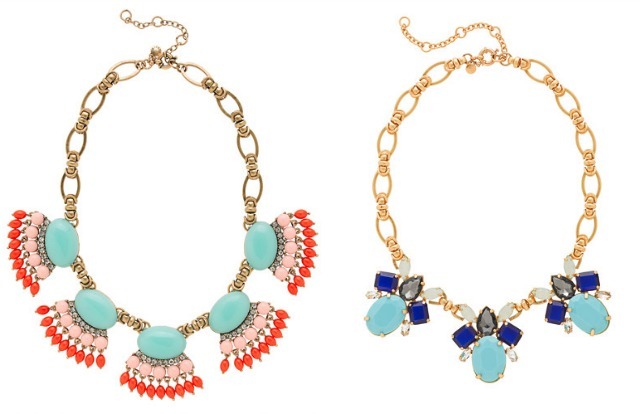 Statement necklaces are my jewelry poison of choice, and J.Crew gets me every time! The fan fringe you posted, and the frog chain link one they have right now are sooooo ME! I need all of those!Love J.Crew.